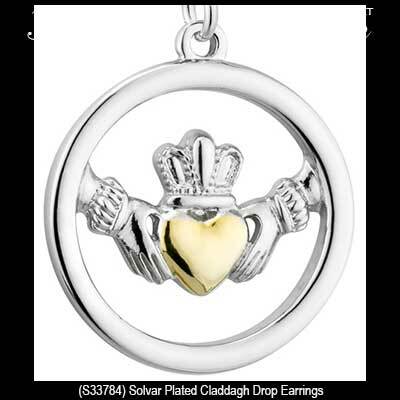 These rhodium plated Claddagh earrings are enhanced with gold plated hearts. 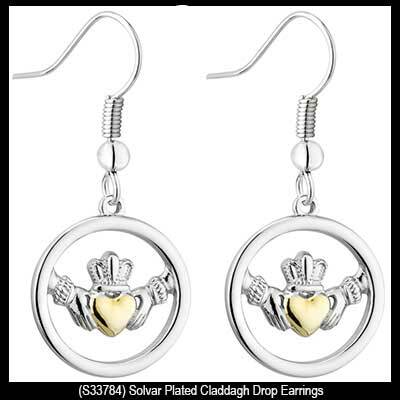 These drop Claddagh earrings feature a gold plated symbol in the center. The rhodium plated Claddagh earrings measure 5/8” wide x 1 1/4" tall and are on fishhook wires.